The changes in disaster trends and the impact of climate have contributed to the increase in shelter and settlement risks and vulnerabilities. For this reason, the International Federation of Red Cross and Red Crescent Societies (I.F.I.C.) developed a tool which presents a participatory approach of disaster risk reduction (D.R.R.) related to shelter and settlements safety. Internationally, Habitat for Humanity delivers the P.A.S.S.A. Training of Trainers programme. The tool aims to develop local capacity to reduce shelter-related risk raising awareness and developing skills in joint analysis, learning and decision making at community level. P.A.S.S.A. will guide the community groups through eight key participatory activities. These activities will use different forms of communication such as images, stories and objects to encourage all members of the group to participate, contribute and interact to develop awareness, confidence and skills so the whole community can benefit from it. The community produces a Work Plan that prioritizes a number of risk reduction goals, and at a high level addresses how those goals will be achieved. The community may apply to A.D.R.A. Samoa and H.F.H.N.Z. for a NZD$8,000 grant to help achieve one of more of the work plan goals. Two A.D.R.A. 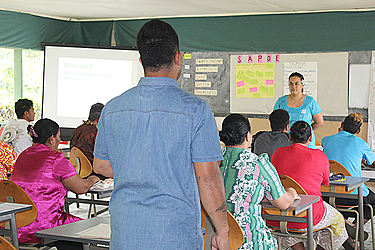 staff participated in a five days training of trainers training that was held in Tonga in May. The training was spearheaded by Habitat for Humanity Fiji in partnership with Habitat for Humanity New Zealand and International Federation of Red Cross (Fiji). 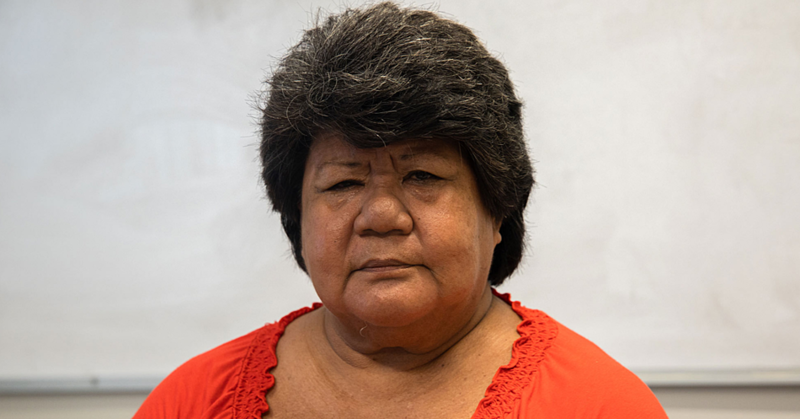 It was conducted after Tropical Cyclone Gita in which there was a noticeable damage to shelter and family homes in Tonga but with little impact on shelter and settlements in Fiji and Samoa. To understand disaster risks in all its dimensions created an opportunity for the trainees to identify, discuss and analyses the magnitude of the risks that natural disaster or hazards pose on community shelter. With that knowledge, the community can be well informed about local disasters and be able to draw upon their own resources to safeguard their lives and assets. It will also promote better practices in mitigation in order to build resilience despite the limited resources available at the community level. It was an insightful learning experience for not only the participants but the facilitators as well. A.D.R.A. Samoa had its first consultation meeting on the 2nd July with the two chosen communities Matatufu and Sapo’e in which P.A.S.S.A. will roll out in its primary stage. The response and their willingness to accept the program were encouraging and it was evident in their turn up on the first days of training.